Labor Day Sale! 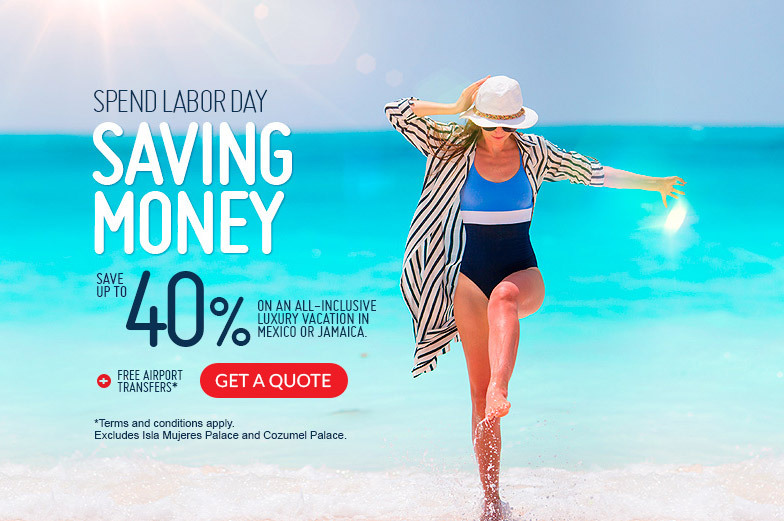 Last Day -- Book by September 6th and receive up to 40% off your stay at the Moon Palace. With a variety of a la carte restaurants and world-class dining options using the best local and imported ingredients, the Moon Palace Jamaica offers many cuisine choices including Seafood, Italian, Asian, and International plus a gourmet corridor that will offer a wide variety of delectable food selections and more. Additionally, a Martini bar and homemade cocktails from sun up to sun down with brand name spirits all included, even in your room. All wines feature special qualities ranked by wine connoisseurs and critics.